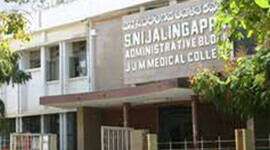 JMM Medical College is established in the year 1965. All the programmes are affiliated to Rajiv Gandhi University of Health Sciences, Karnataka and recognised by Medical Council of India. 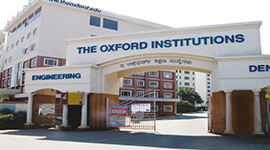 The course curriculum of these programmes are as per the norms and guidelines of the affiliating University viz., Rajiv Gandhi University of Health Sciences, Karnataka. JMM Medical college is located in a campus spread over 25 acres of land with excellent infrastructural facilities for training the students. It has two separate blocks, Administrative block and the pre-clinical block. 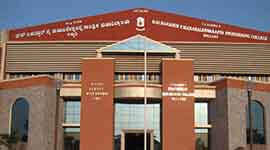 The Administrative block has administrative office and all the departments. 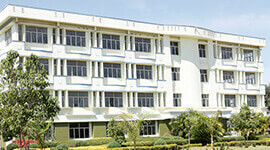 The Clinical departments are housed in both District C.G.Hospital and Bapuji Hospital. 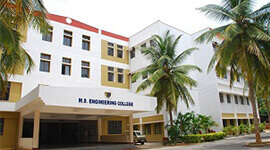 The college has Pedagogical infra –structure with nine Lecture Galleries with audio-visual facilities in addition to six level lecture halls. There are two mini Auditoriums with 250 seating capacity are equpipped with multimedia facilities. The Library & Information Centre with separate reference areas for faculty, postgraduate and undergraduate students has been provided. The central Audio-Visual and photography department comes under the Library & Information Centre. 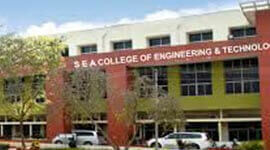 It has facilities for Multimedia Projection, Slides and Overhead Projects. S.S. Digital Library is the latest addition to the center providing Internet facilities with V-SAT connectivity and 25 terminals for the users. 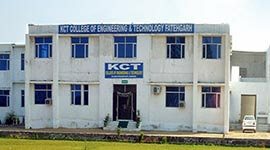 The college is located in a campus spread over 25 acres of land with excellent infrastructural facilities for training the students. It has two separate blocks, Administrative block and the pre-clinical block. 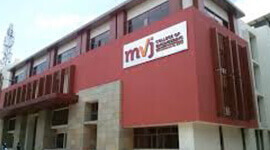 Two mini Auditoriums are equpipped with multimedia facilities. The Library & Information Centre with separate reference areas for faculty, postgraduate and undergraduate students has been provided..
S.S. Digital Library is the latest addition to the center providing Internet facilities with V-SAT connectivity and 25 terminals for the users. 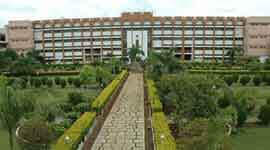 Separate hostel facilities with single and double occupancy are provided for both boys and girls. Two mini Auditoriums with 250 seating capacity are equpipped with multimedia facilities.